You’ve got effective products, and you’ve got effective elegant products. 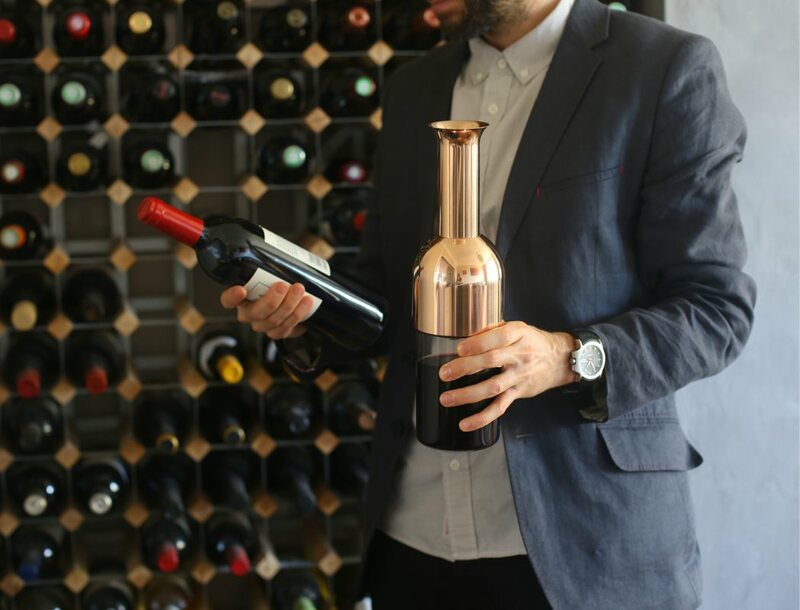 The Eto wine decanter is the latter. 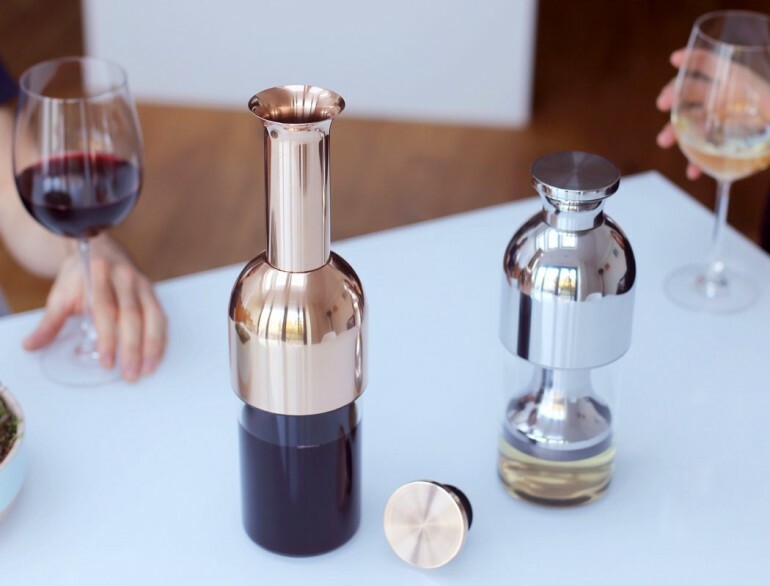 Designed to solve a problem, while looking incredibly desirable, the Eto is a rather beautiful looking bottle that preserves opened wine by cutting off air/oxygen contact. I clearly remember this product I saw on Shark Tank called the Wine Balloon. There’s a distinctly different reaction to when I see it now in 2017, 4 years after its debut. It’s quirky and mildly hilarious, and in hindsight, adding it to an expensive bottle of wine diminishes the pristine visual character of the wine bottle itself. 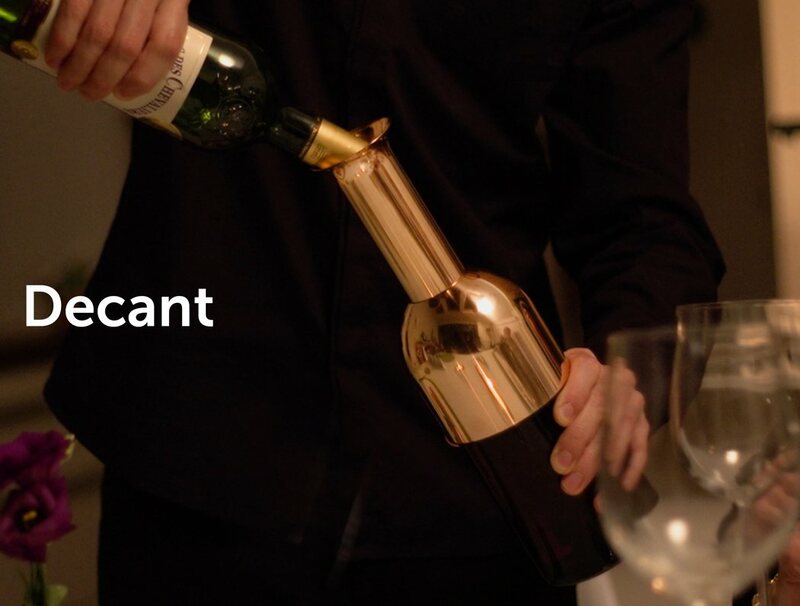 A not-so-elegant solution for something as elegant as a bottle of wine. The Eto on the other hand was designed to look just as refined and sophisticated as the original bottle of wine itself. 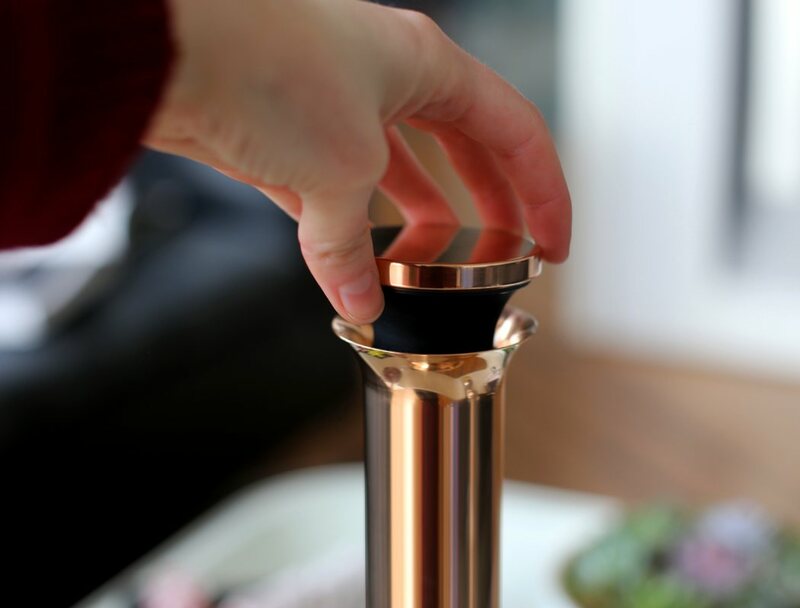 Designed using glass, and stainless steel given a mild rose-gold finish, the wine bottle looks incredible when empty, and even more so when full. The choice of color plays wonderfully to both red wines as well as whites. 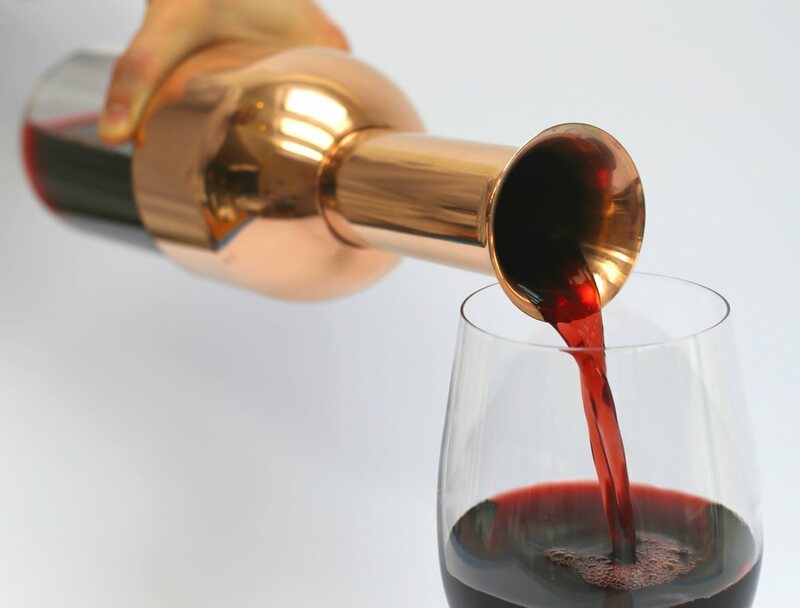 Its half metal, half glass design is devoid of any ugly branding, and gives a view of your wine from the bottom half in a rather iconic Marylin Monroe-esque fashion. Eto works on a principle of cutting out air flow to the wine completely. 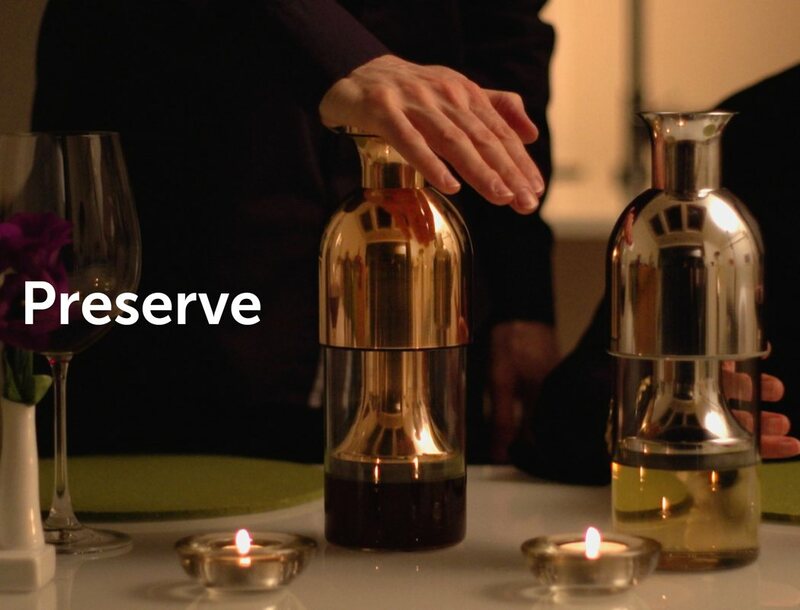 Unlike the Air Cork that cuts off a percentage of wine and not all of it, Eto can preserve a newly opened bottle of wine perfectly for weeks with even the most expert wine tasters not being able to tell the difference. 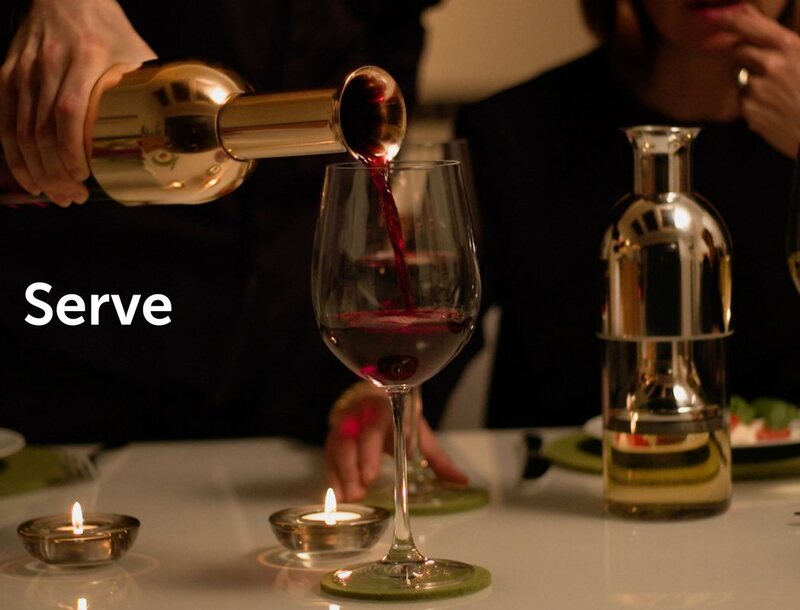 Upon opening a bottle of wine, all one has to do is decant it into the Eto and gently press down on the bottle neck as a piston valve lowers itself down till it meets the level of the wine. 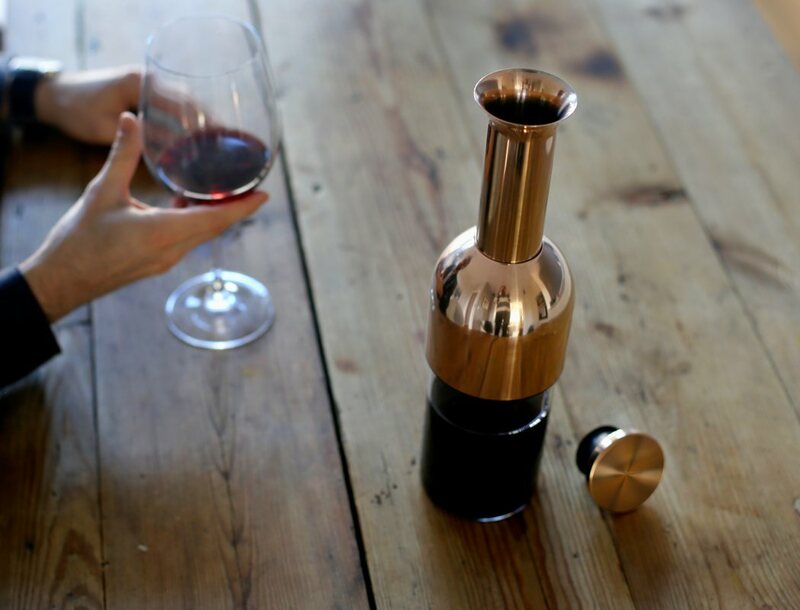 The Eto can be stored in the fridge to preserve the wine better, and can be directly used to pour out the wine easily, thanks to its glug-proof non-spill opening. 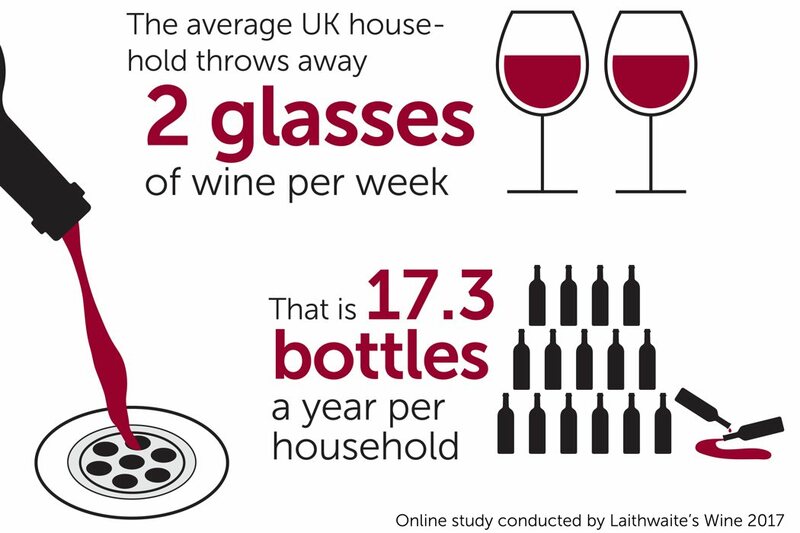 While Eto perfectly preserves wine, what’s good about it is that it doesn’t present itself as an attachment to your wine bottle. It presents itself as a beautiful wine bottle in its own right, which you’ll be more than proud to show off!